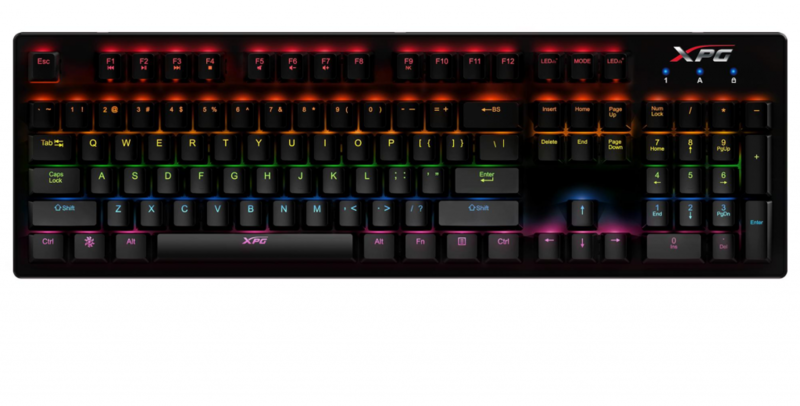 [Press Release] ADATA today unveiled the XPG INFAREX K20 gaming keyboard. 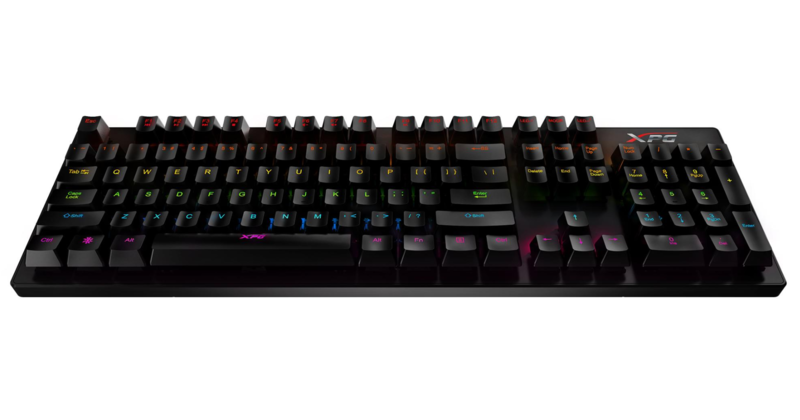 Made for avid gamers, the keyboard sports a stylish black casing with mechanical blue switches, 50g actuation force and backlit keys with 11 lighting effects for ultimate gaming functionality and flair. The INFAREX K20’s keys are designed for longevity and durability with a lifespan of 50 million keystrokes, and feature anti-ghosting functionality to ensure commands and simultaneous keystrokes are always registered. Sporting mechanical blue switches, gamers will revel in the amazing tactile feedback provided with each keystroke. Ergonomic key caps combined with 50 g actuation force offer the user a satisfying tactile feel that also makes it easier for them to know that their inputs have registered. What’s more, with anti- ghosting functionality users need not worry about signal conflicts when multiple keys are pressed simultaneously, or missed key inputs.